Prices start from just USD $879 per person! 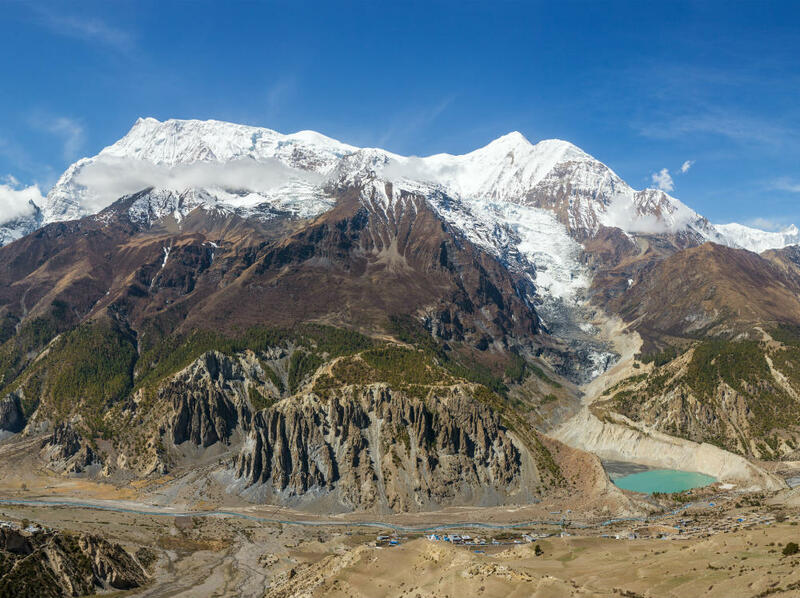 Trek the Annapurna Circuit with us and enjoy amazing and diverse landscapes, which have grown in popularity over the years. This trek is now more accessible than ever, since part of the original trail has been replaced with a road. Yet there’s only one way to see the lush forests, medieval mountain villages, the desert wilderness of Mustang, and to cross the highest (non-motorable) pass in the world – the mighty Thorong La! We design our itineraries to avoid the road and make the most of the trail. 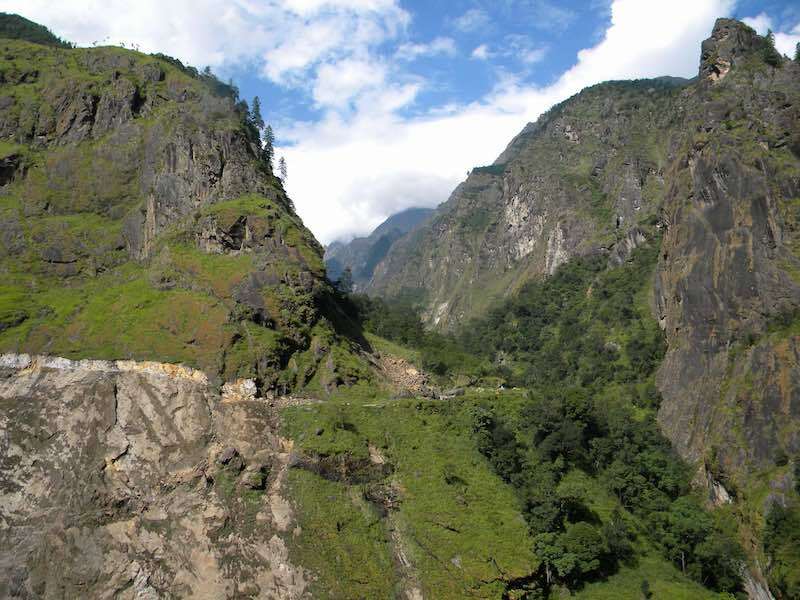 The Annapurna Circuit is moderate in most places, yet with a very strenuous climb up to the pass. So a good level of fitness is required. 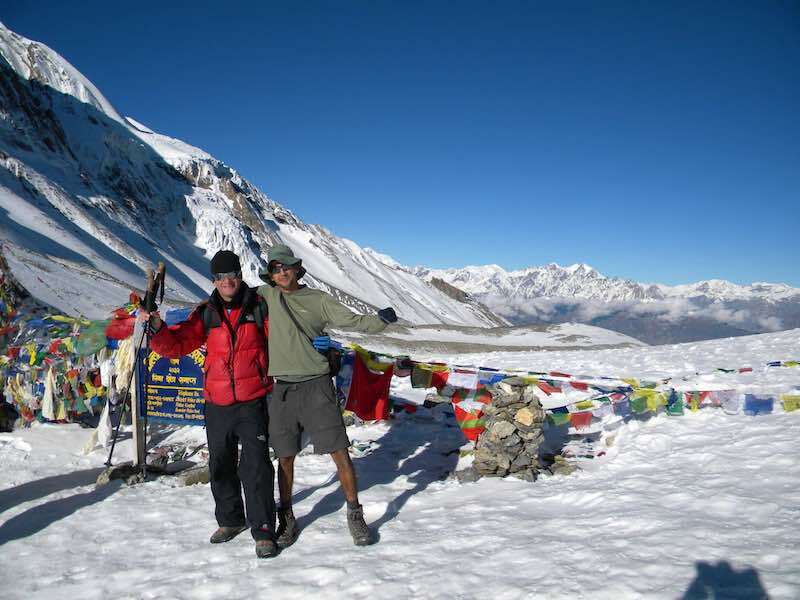 Read about one of our client’s adventures trekking the Annapurna Circuit in his fascinating blog! There are so many options on the Annapurna Circuit. 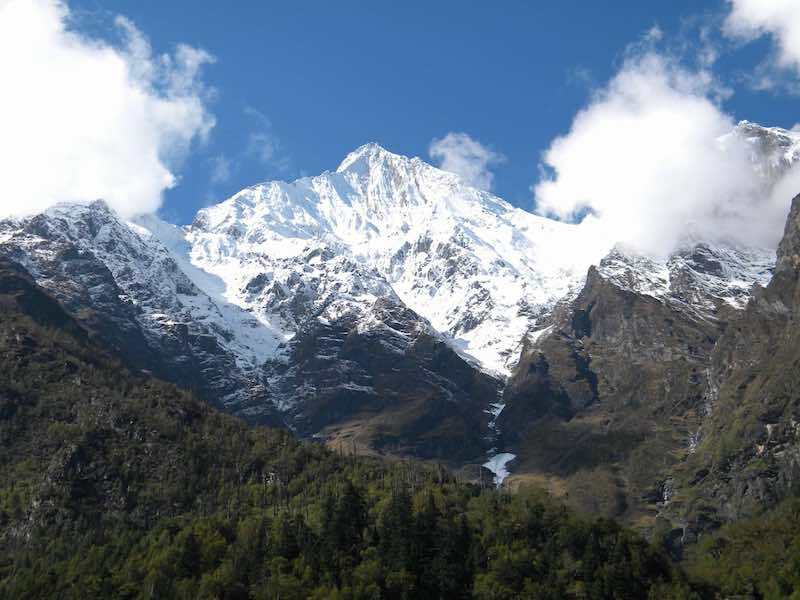 You can spend anything between 11 and 18 days trekking this spectacular region of Nepal. There are various start and end points, as well as side treks off the circuit. 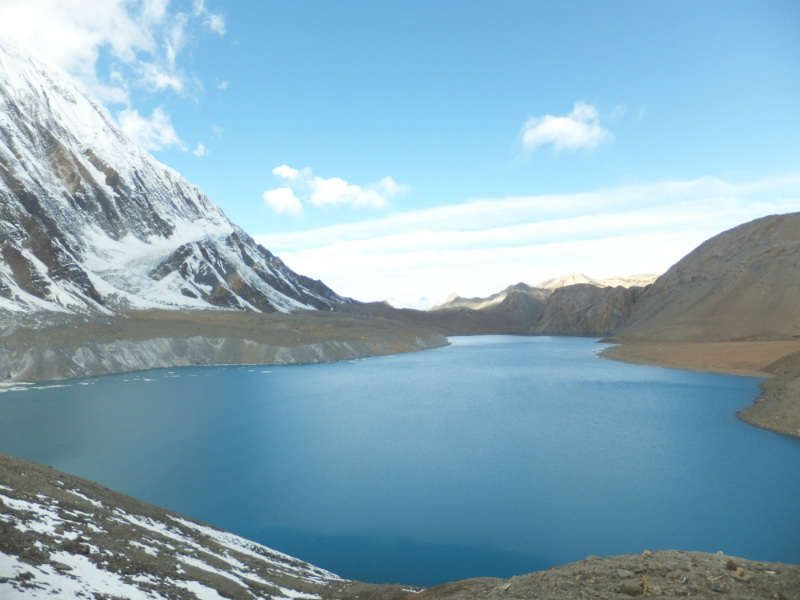 One example is trekking to magnificent Tilicho Lake, which will add three incredible days to your itinerary. After an overnight stay in a comfortable 3* Kathmandu hotel, we drive on and off road to our starting point. 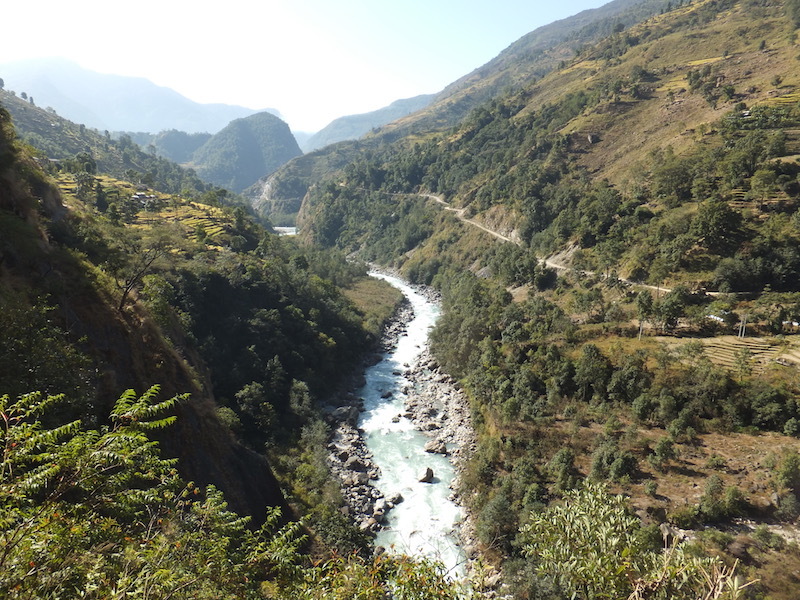 As we gradually ascend, we pass through colourful Nepali villages, glacial valleys, and jungles teeming with life. The further we go, the more impressive the views of the Himalaya. We stop for fresh apple pie at Bhratang, then enter what feels like a different world at Upper Pisang. 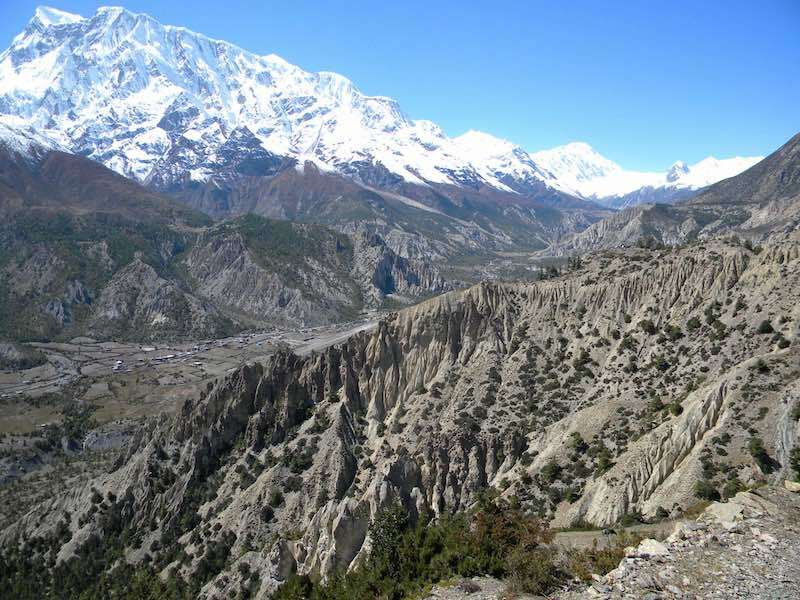 From there we take the longer and more scenic route to the mountain settlement Manang (3,500m/11,483ft) and enjoy breathtaking views of the tenth highest mountain in the world Annapurna I (8,091m/26,545ft). Also Annapurna II, III, Gangapurna and Tilicho, to name but a few! We stay in Manang for two nights and enjoy stunning side trips to acclimatise to the high altitude. Beyond Manang, the landscape changes again and we trek through the desert wilderness to Thorong Phedi (4,540m/14,895ft). From here we do a practice hike up to High Camp, a taste of what’s to come the following morning! 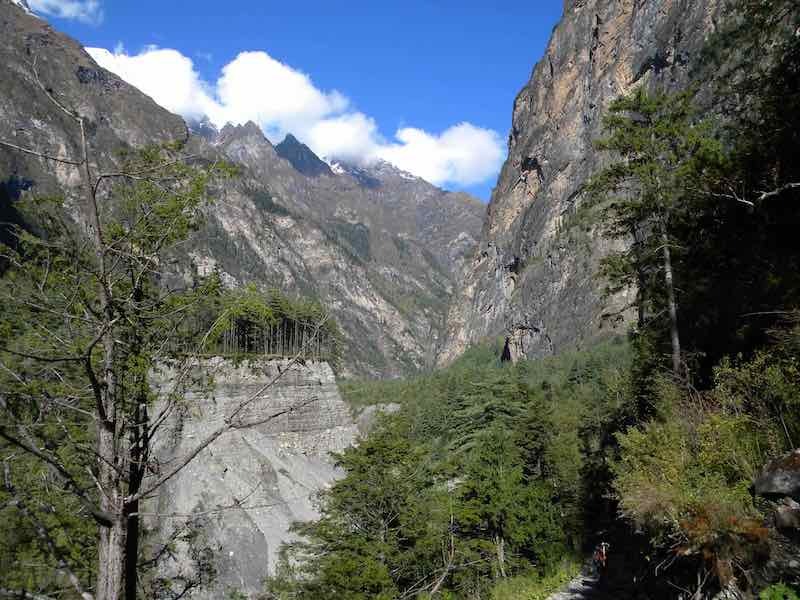 The toughest day when you trek the Annapurna Circuit is undoubtedly the day we reach the pass! We rise very early and start our four hour climb up to Thorong La in time for the sunrise. At that altitude it’s hard going, but worth it! 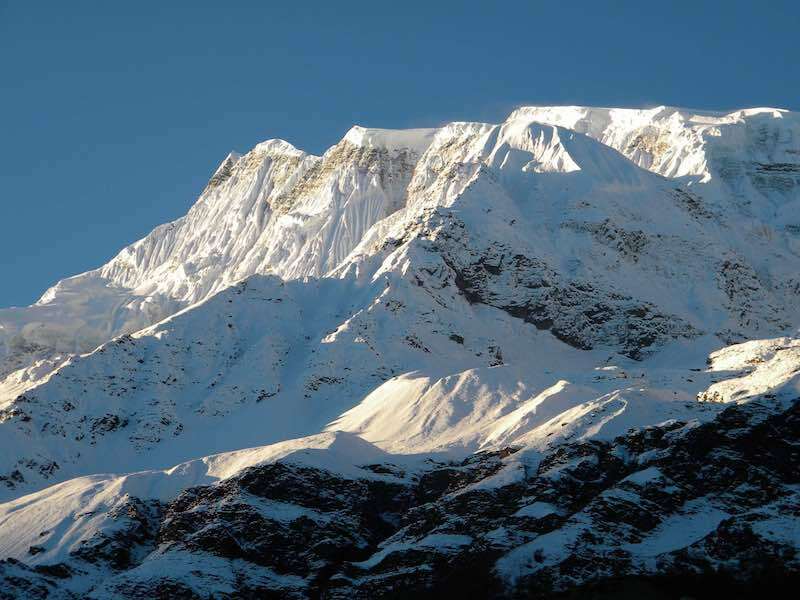 From the pass you’re rewarded with magnificent 360° views of the Annapurna mountains. You’ll truly feel ‘on top of the world’! After enjoying the exhilaration of standing at 5,416m/17,769ft, not to mention the view, it’s time to hike down to sacred Muktinath. 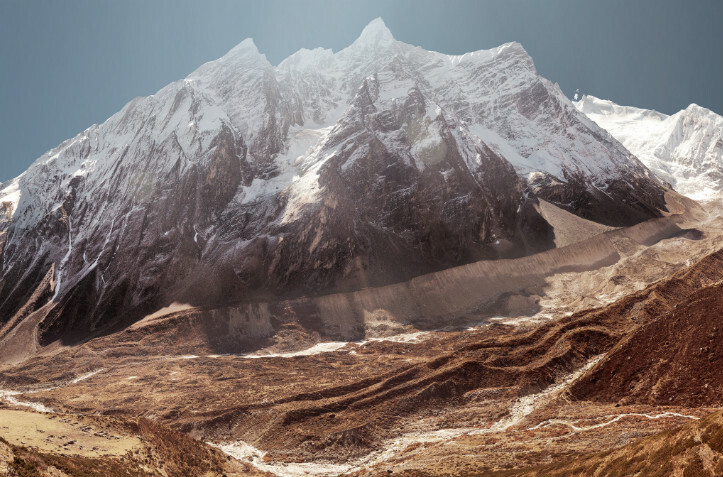 You’ll find a different world again – Mustang, a restricted area of Nepal. From here we continue down to Jomsom and make our way back to Pokhara. Either by plane or ground transport, depending on the end point for your trek. Pokhara, the gateway to trek the Annapurna Circuit and the second largest city in Nepal is often known as the adventure capital. Phewa Tal (Fewa Lake) is the city’s key feature. On a still day, gaze at the mirror images of the Annapurna mountains reflected in the water, with the knowledge that you’ve been right up there! There are many things to see and do in Pokhara including a half-day hike up nearby Sarangkot (1,600m/5,249ft). As you climb, enjoy stunning views of Pokhara and the lake. Then when you reach the top, take in the Annapurna skyline featuring Machapuchare (Fish Tail, 6,993m/22,943ft). Visit the International Mountain Museum and stand in the shoes of Sir Edmund Hillary and Sherpa Tenzing Norgay. Or get an adrenaline rush paragliding or white water rafting! Ask us about including adventure activities or a sightseeing tour in your itinerary. Or add a couple of extra days to relax in laid back Lakeside. After a short flight or long drive back to Kathmandu, stay in Nepal a little longer and enjoy the capital. Kathmandu is home to seven UNESCO World Heritage Sites, so you’ll be sure to want to see some! Ask us about including a sightseeing tour in your itinerary and make sure you allow time to pick up souvenirs and gifts! We leave Kathmandu after breakfast. It’s a four hour drive to Besisahar where we stop for lunch. If you haven’t tried it yet, dal bhat is a must! Enjoy your first good views of Annapurna II (7,937m/26,040ft) and Machapuchare (6,993m/22,943ft). Then we head off road for another three hours to Chamje where we spend the night. We start our ‘on foot’ adventure walking across to the other side of Chamje. 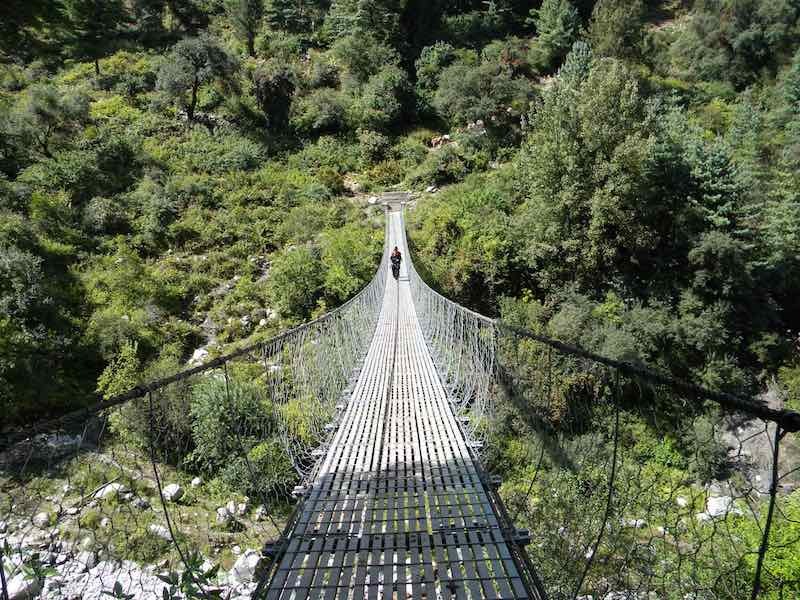 From there, we cross our first suspension bridge above the Marshyangdi river. Then for the first time we’ll give our legs a good stretch as we climb up for two and a half hours to the colourful village of Tal. We’ll stop here for lunch and a look around. Then, after continuing for 40 minutes we cross another suspension bridge that leads us to the road, which we must follow for an hour. We return to the trekking trail for about 90 minutes, before a final hour back on the road to our overnight resting place, Danaque. 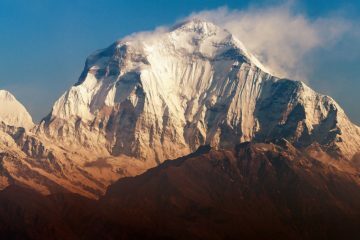 From Danaque, we climb up for 90 minutes to Temang and enjoy one of the best views of Manaslu (8,163m/26,782ft) the eighth highest mountain in the world! With a feeling of excitement for what’s yet to come, we continue for another hour to Thanchok and have lunch. In the afternoon we’ll walk for just 90 minutes crossing a police check point at Nar Phu, where they’ll check our trekking permits. Then we arrive at our teahouse in Chame. We start day five by crossing the river, then we make our way to Bhratang passing through a small settlement en-route. Bhratang is home to a large apple farm and bakery, renowned for it’s fresh apple pie – you’ll be sure to want to try some! Beyond Bhratang, we continue for just over an hour to Dhukure Pokhari for lunch, passing a large hill known as Heaven’s Gate. Here the trail forks to Lower Pisang and Upper Pisang. We want to make sure you enjoy the very best views in this incredible region of Nepal, so we’ll take the longer, more scenic route to Upper Pisang. We’ll spend the night in this small, interesting place on the hillside surrounded by enormous mountains. Continuing on the upper trail, our first 90 minutes is easy walking, but don’t be lulled into a false sense of security! To reach Gharu village, our tea break stop, we must climb steep steps for 90 minutes. It’s well worth it though. You’ll forget about your legs when you reach the top and see the spectacular view of Annapurna II, III, IV, Gangapurna and Tilicho! After another two hours of fairly easy walking, we arrive at our overnight destination Nawal just in time for lunch! In the afternoon there’s an opportunity to visit the village and monastery, or just relax. It just keeps getting better! Day seven is an easy day with views that will wrap you up in awe and elation! Annapurna I, II, III, Gangapurna and Tilicho stand magnificent as we walk two and a half hours to the stunning mountain village of Braga. You’ll be happy you didn’t take the lower trail and miss this amazing scenery! After lunch and a visit to the monastery, we walk for another hour to Manang. Get comfortable, we’ll be staying here for two nights to acclimatise to the high altitude. We’re staying put, but it’s not a rest day! Hiking to a higher altitude and then descending to sleep is great for your acclimatisation. So we do just that, firstly hiking up to a holy cave to marvel at the Gangapurna mountain, glacier and lake. This is one of our favourite views on the Annapurna Circuit. Then after lunch, we hike to the turquoise lake itself. As we leave Manang and continue our ascent, you’ll notice the landscape changing. Deserts replace lush jungle, a truly remarkable sight. After just three and half hours we reach Yak Kharka, our lunch stop and overnight resting place. After lunch we take a short walk to enjoy a vantage point, then the rest of the day is yours to relax. Make the most of this short day, we’ve a very long one to come! After an easy 90 minute start we arrive in Letdar, then we gradually climb for two hours to Thorong Phedi, our final overnight stay before we reach the mighty Thorong La Pass. After lunch, we do a practice run to High Camp. This steep one hour hike will not only help you acclimatise, it will also give you a taste of the next morning. Get an early night, because tomorrow is the big day! We start our climactic adventure at around 3:30am – don’t forget your head torch! After breakfast we lose no time and commence our 900m/2,953ft ascent. 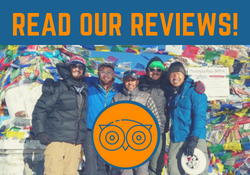 The steep climb to High Camp is the hardest part, followed by another three hours of climbing to reach the incredible Thorong La Pass – the highest non-motorable pass in the world! You’ll have time here to breathe and soak up the most magnificent 360° mountain views of your life! You really are standing on top of the world! After all the excitement you’ll be needing a cup of tea. Fortunately there’s a tea shop just a few feet below the pass! From there we continue for three hours to Phedi and stop for lunch. Another hour’s descent and we arrive in sacred Muktinath. We finally rest for the evening after an unforgettable day! 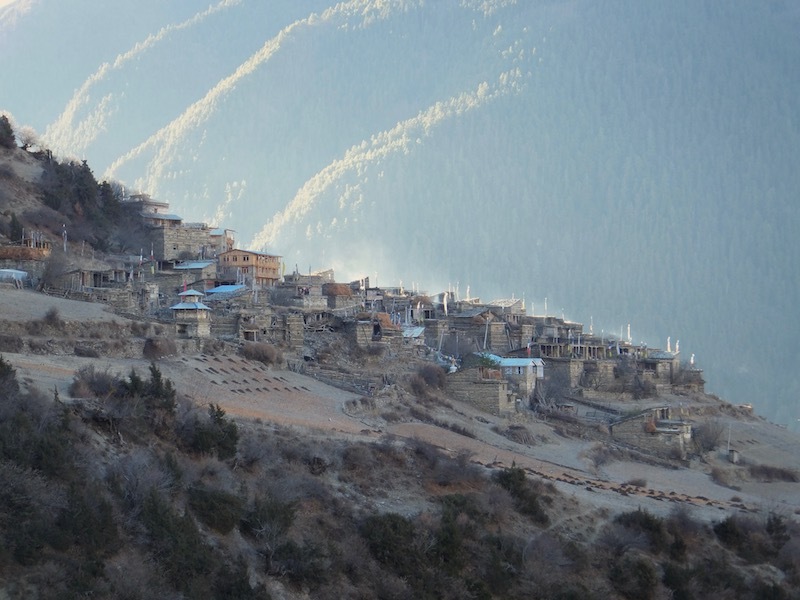 We start our day with a good look around Muktinath including a visit to the temple. Take some coins and make a wish in the sacred pool. Then we continue down towards Kagbeni, the gateway to wondrous Mustang, one of the restricted areas in Nepal. Enjoy stunning views of Mustang before we stop for lunch in Ekle Bhatti. 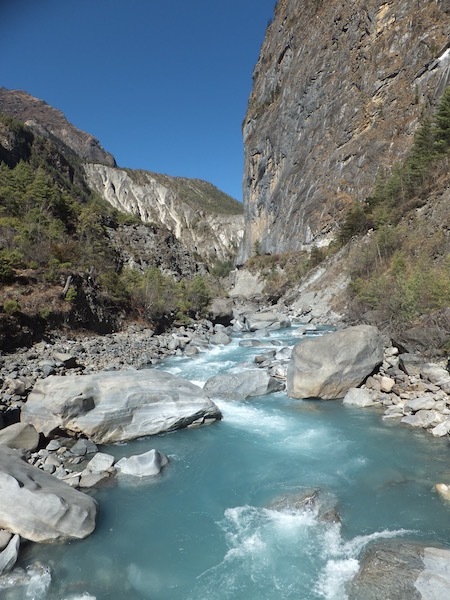 We complete our trek with a two hour walk following the Kaligandaki river, rich with fossils. 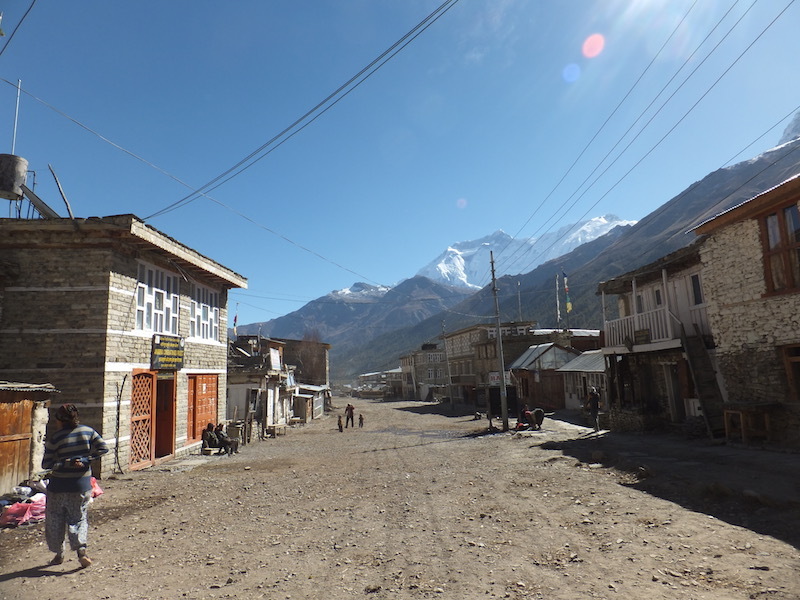 We spend the afternoon resting and stay overnight in Jomsom. Return to Pokhara and celebrate! 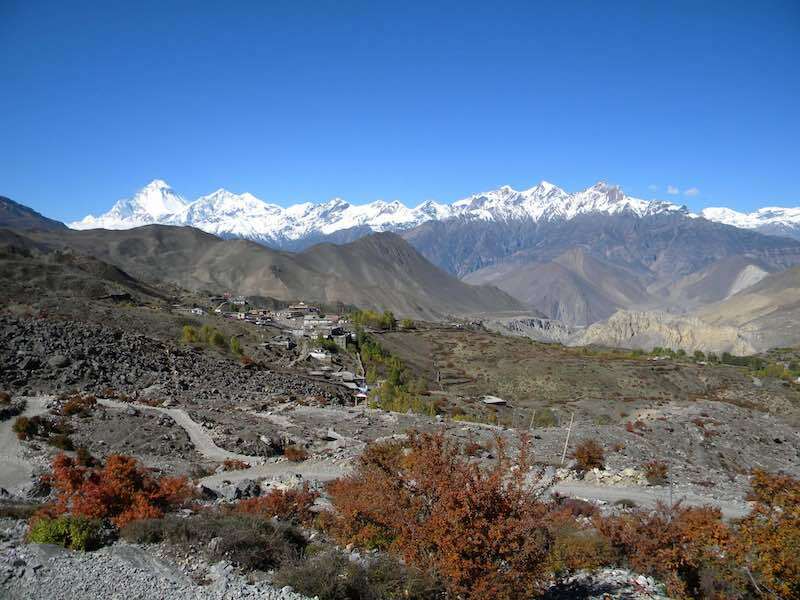 If Jomsom is the end point of your trek, fly back to the second largest city in Nepal, Pokhara. There are so many things to see and do in the adventure capital. Ask us about including adventure activities or a sightseeing tour in your itinerary. We take the tourist bus back to Kathmandu first thing and arrive mid to late afternoon, in time to shop for souvenirs and gifts. 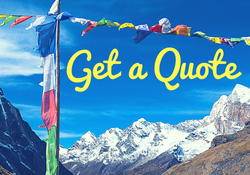 You can choose to fly back (for an extra cost) and spend more time in Kathmandu. We meet one last time for an end of trek celebration meal and culture show. We’ll organise your transfer to Kathmandu Tribhuvan International Airport for your flight home. However you may wish to stay a little longer in Kathmandu and explore some of the seven UNESCO World Heritage Sites like the stunning ancient city of Bhaktapur. Ask us about including a sightseeing tour and extra nights’ accommodation in your itinerary! 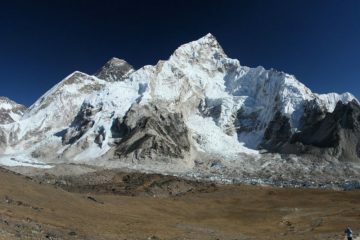 Prices for this trek start from just USD $879 per person! Wow, wow, wow… It’s hard to put words to the magic of the trek organised for us by Nepalorama Trekking. The whole team was amazing and really easy to deal with, right from the beginning. They provided us with heaps of great information before the trek so we had a really good idea of what to expect. They made us feel totally prepared and super excited for the trip ahead from beginning to end. Our fabulous guide took care of everything from the moment we landed in Nepal; he even met us at the airport, which was amazing. We felt so well looked after, which really made the difference. It was great to round off our amazing trip to Nepal with a few days in Kathmandu and Pokhara, both really different and fascinating towns. The tours were a terrific way to wind down from the trek and relax a bit while still taking in some of the Nepalese sights and culture. Despite being tired after the trek, I really enjoyed the sightseeing in Pokhara and Kathmandu, it was a brilliant way to end our trip. We had the most amazing time, I can truly say it’s “life-changing” and we can’t wait to go back! I highly recommend the team at Nepalorama, you’re in great hands with them! It took us about 12 days, but by the time we got to the foot of the last climb over Thurong La, I knew that there was no going back and I was afraid that I wouldn’t be able to do much with my legs or my lungs. But I should never have doubted. Krishna was an excellent guide. He supported me throughout. He helped me buy meals. He chose the best places to stay. He was able to navigate us through 12-25 miles per day, and even at high altitudes. 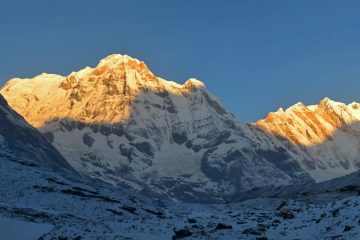 I totally recommend everyone should choose Nepalorama Trekking for their circuit hikes, and any visits throughout the Himalaya. Please go. It’s life-changing, exhilarating and more. I made the long Annapurna Circuit with two friends 23 days long, with all topic points (Tilicho Lake 4900m, Thorong La (pass) 5400m and ABC Base camp 4300m.) And it was the best decision to book by Krishna and his office.. it was very easy to communicate with Krishna because my English wasn’t so good.. and Krishna offer me all help I need and answer very well all questions I have before our trekking.. he planned us a very nice journey and we get over him the best guide ever, so we have very luck that we booked by him.. So if I travel one more time to Nepal I would booked one more time by Krishna, perhaps next mount Everest and the 3 passes track .. So I would do the same for the Future! Had a great time with Krishna! The sights were amazing and the accommodations were perfect. Got to eat great food and meet great people. Krishna was flexible and informative throughout the trek. I highly recommend. Krishna was a wonderful guide! He met me at the airport and I felt well taken care of every step of the way! Once on the trek, he made sure I was safe but still pushed me to make good time and see my destinations’ beauties. I did the short hike of the Annapurna Circuit to see Poonhill. We did 6 days of 4-6 hours of hiking. My legs were tired but I felt amazing! DAL BHAT POWER – 24-Hour! The best day by far was the Hot Springs – he and the porters decided to call it an early night – but I stayed down in the Hot Springs until dinner! I trekked alongside 2 other friends and met so many others along the way. In the last minute we decided we wanted more time in Pokhara and Kathmandu, which Krishna accommodated for post haste! He was so wonderful to talk to and spend time with. I can’t wait for my next trek! !